This week we are talking about ageing. As you get older you might be noticing that your skin is changing. Your décolletage may be showing signs of age, especially if you have spent a lot of time in the sun. Other common signs are the skin under and around your eyes beginning to wrinkle and the skin on your neck losing elasticity. So how can we help it? Can we slow it down or reverse it? Here are some tips for keeping your skin looking young and how to revitalize and repair it. As your skin ages it starts to slow down the production of elastin and colleaen, which leads to less elasticity and thinning of the skin. A lot of how quickly your skin ages comes down to your genes, but external influences such as sunburn, climate and even your facial expressions will also have an impact. So can you slow down or reverse ageing skin? While you can’t reverse the ageing process, you can reduce fine lines and wrinkles and you can help to preserve your skin by using the right skincare products for ageing skin. Sunscreen - You may have already damaged your skin through excessive sun exposure over your lifetime but it’s never too late to start protecting it. Make sure you use a sunscreen designed especially for your face (often sold as a moisturiser as well) because what works on the rest of your body is often too harsh for your face. Don't wash your face with soap - Soap may be fine for your body but it’s no good for your face. It strips your skin of its natural moisture. 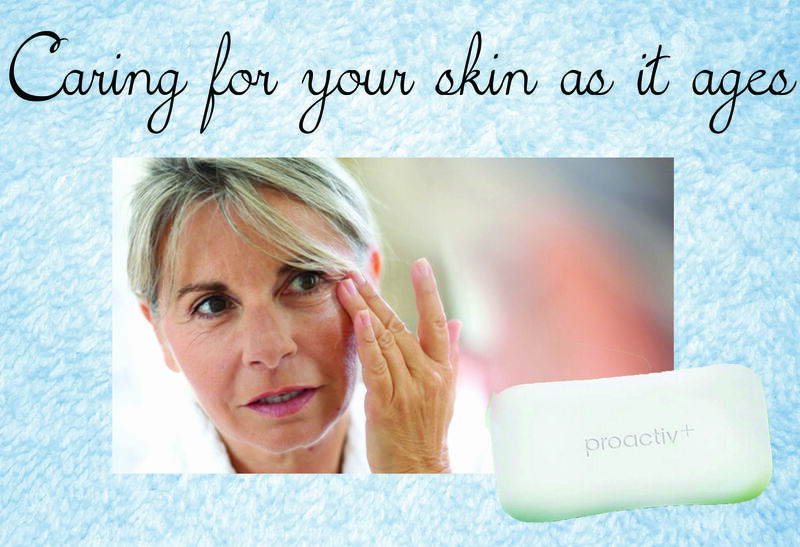 Try a cleansing bar like the Proactiv Cleansing Body Bar. It’s perfect for your face but you can use it all over. Moisturise - Make sure you choose a moisturiser that works for your skin. Everyone’s skin is different and you need the right products for your skin (link to last week’s post about skin types) You may also want to visit a dermatologist to have your skin looked at by an expert. Have your skin checked - It’s also essential to have your skin checked by an expert for any melanomas or any other unusual marks. It’s recommended you do this every 6-12 months, just to make sure. Cleanse your skin gently - The skin on our face is delicate and you need to cleanse gently. Always remove make up before bed and wipe under your eyes from the nose to the corner of the eye, not the other way! The Proactiv+ Delux program will help you keep your skin clear and it comes with eye brightening serum and mark fading pads for any blemishes. As well as all these tips, make sure you drink a lot of water and eat fresh, healthy food. Oh, and if you’re a smoker, it might be time to quit- for your skin and your health. Next week wee are talking about skincare on the go because we know a lot of you will be heading away over Easter.